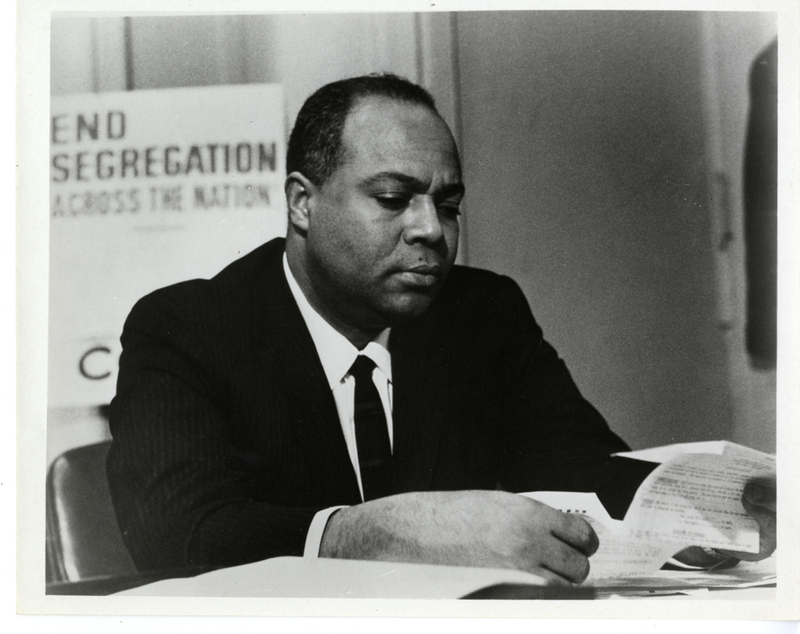 James Farmer, founder of the Congress of Racial Equality (CORE). Sign behind him reads, “END SEGREGATION ACROSS THE NATION." The James L. Farmer Collection, Special Collections and University Archives, University of Mary Washington Libraries. Special Collections and University Archives, University of Mary Washington Libraries. “James L. Farmer, Jr.,” Social Welfare History Image Portal, accessed April 26, 2019, https://images.socialwelfare.library.vcu.edu/items/show/180.